Toy’s place at the top of children’s Christmas lists is being threatened by iPads and video games. Those are the findings of research featured in the latest issue of toy industry publication Toy News. The research was carried out for the magazine by youth research specialists, Dubit to provide insight into what children across the UK will be asking Santa for this year. Dubit asked the children to pick five types of presents to make up their imaginary Christmas list. The kids chose electronic devices the most (chosen by 59 per cent), followed by video games (53 per cent), money (44 per cent), and toys (39 per cent). As the children get older, the most popular gifts change considerably. Those aged seven to eight favour toys (63 per cent), while nine to ten year-olds prefer electronic items (60 per cent). Gadgets are also top of 11-12 year-old’s lists but at that age girls favour clothes over any other present. The least popular Christmas presents with children are novelty items, jewellery, and grooming. Unsurprisingly, 11-12 year-old girls buck this trend as they begin to take an interest in beauty products. The children were also asked which types of toys they wanted to find beneath the tree – a toy was regarded as popular if it ranked in the top three. For this, the toys were divided into nine categories, such as board games, action figures, and blocks. Board games are the most popular toy - placing in the top three 124 times, followed by vehicles (105), pet animals (96), blocks (88) and puzzles (83). Despite the prominence of video games in older children’s’ playtime, board games are popular with kids aged 9-10 and 11-12, as are puzzles such as jigsaws and Rubix Cubes. Action figures and dolls only made the top three of 78 children’s lists, with just 14 boys putting them near the top compared to 64 girls. The most popular words used were associated with technology brands, like Nintendo DS, Xbox, and iPhone. Lego was the most popular toy brand to be mentioned by the children. This was helped by Lego’s move into video games and partnering with brands like Harry Potter and Star Wars. Other toy brands chosen by the children included Hello Kitty, Barbie and Harry Potter. 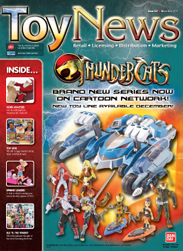 Samantha Loveday, editor of ToyNews magazine commented: “Although consumer electronics seem to be grabbing the attention of older kids, the more traditional toys are still firm favourites with younger children. The research came from a survey of 250 children aged between 7 and 12 years-old with equal gender/age split. Dubit Limited is the leading youth communications company in the UK, set-up in 1999 by teenagers who wanted to improve research and marketing to young people. The company runs the largest youth panels and networks in the UK, and is constantly in touch with young people’s trends, motivations and behaviours. Dubit works with major brands offering research, marketing and interactive services. This allows brands to connect with young people through an integrated and strategic approach that keeps young people at the heart of the creative process. Clients include Cartoon Network, Disney, Kellogg’s, NSPCC and the BBC. This press release was distributed by ResponseSource Press Release Wire on behalf of Dubit Limited in the following categories: Children & Teenagers, Entertainment & Arts, Leisure & Hobbies, Consumer Technology, Personal Finance, Media & Marketing, Retail & Fashion, for more information visit https://pressreleasewire.responsesource.com/about.